Click here: Adoptions for Life. We understand that going through a divorce can be upsetting and difficult. A family that was formerly harmoniously together is now splitting into two, and your life and that of your family will be changed forever. We realize that each case is unique and that your family’s situation requires individual attention. There are many important factors in every divorce. Florida Divorce Facts: The petitioner must live in Florida for six months before filing for a divorce. Florida is a no-fault divorce state. The only requirements to getting a Florida divorce are that the marriage is irretrievably broken The petition for dissolution of marriage must be filed in either the county where the petitioner resides or the county where the spouses last lived together prior to separating or the county where the parties lived as a married couple. An uncontested divorce means that the spouses agree on the division of marital property, alimony, time sharing with the children, support, and parental responsibility. The spouses sign a Marital Settlement Agreement and go to court on a motion calendar hearing to finalize the divorce. Parties filing an uncontested dissolution of marriage will receive a final judgment in an expedited manner. Florida requires equitable distribution of the marital property pursuant to statutory factors, if you go trial. Custody (Time Sharing):All divorcing spouses who have children must complete a Parent Education and Family Stabilization class. This class helps parents to minimize the emotional trauma of the divorce on the children. Each parent must independently complete the course before the Court will grant a final dissolution of marriage. Modifications of Child Support: Child support can be modified at any time. But there must be a substantial and material change in circumstances in the case from the time the last child support order was entered, to the present time. It is important that the guidelines are properly calculated from the beginning. If you believe that your child support should be modified, it is in your best interest to contact a family law attorney to explain the advantages and disadvantages of pursuing court action. It is of the utmost importance that they be fully protected emotionally and financially during the divorce process. The term “custody” is no longer in use. As of October 2009 the laws of Florida were drastically changed regarding how the courts deal with parenting issues in a divorce. The law requires that the court develop a “Parenting Plan” which includes a schedule that allocates the time the children will spend with each parent. Additionally, the plan needs to include an outline of which parent will be responsible for many parenting activities. Alimony can be requested when one spouse needs financial assistance. In order to qualify for alimony, the requesting spouse must prove need and that the paying spouse is financially able to make the payments. Alimony under Florida law can be granted for bridge-the gap alimony, short term alimony, durational alimony, or permanent periodic alimony. For unmarried biological fathers, legal paternity can only be established by court action. Although having one’s name on a child’s birth certificate does not legally establish paternity, it can be used to prove the biological father of the child. The relocation question is – what is the best interests of the children. There are always good reasons for and against relocation. The reality is that the children probably need both parents to fully develop into happy and healthy adults. Parents should be urged to communicate and make these important decisions themselves and not ask a complete stranger to make these decisions for them. It never is easy for a parent to balance future relationships, careers, or opportunities with the need for the children to have meaningful contact with the other parent, but they must try. Such decisions are very difficult for the Court to make is parents cannot agree. Foreclosure Law covers home loans, contract law, property rights and regulations. When faced with these types of legal issues clients are looking for help in working through difficult times. At Greenfield Law we work to provide you options, keep you well informed and assist you in obtaining the most positive outcomes. If you are going through foreclosure we want you to understand that process and protect your rights. In foreclosure, the court administers the property and assets of a debtor for the benefit of those owed money. Individuals or businesses may use foreclosure lawyers to resolve a bad financial situation. In some cases a creditor may force the filing of a Foreclosure proceeding. Greenfield Law combines extensive litigation experience, legal intelligence, and negotiation skills with strength and determination. We listen to clients to achieve the best results for each individual case and to protect your rights as. Sometimes, it is best for your lawyer to work the case out and negotiate a disposition instead of pushing the case further into litigation. On the other hand, sometimes it may be needed to aggressively push your case in order to force a better result and outcome in the case. Your attorney should be strong and refuse to stop fighting for what is right and just. In some situations the pressures of trial and litigation can take a toll on a client. Therefore, working out a favorable outcome in the case before trial and litigation may be better for the client in the end. DUI and DWIs are serious offenses that must be settled in the court in the county in which the citation was issued. DUI is known as driving under the influence. The State can charge a DUI based on alcohol or drug impairment. Throughout the arrest process, the defendant is often times questioned and placed on video while performing the field sobriety exercises. The scientific testing known commonly as the “breath machine” must pass scrutinized procedures to make this breath test admissible in court. The charge of a DUI or other alcohol/drug related traffic offense can have damaging consequences. It is imperative to have experienced representation that knows the law and can assess whether proper procedure was followed during the initial arrest and your constitutional rights were protected. Drug charges include possession, manufacturing, distributing, and trafficking among many others. These offenses are very common and come with severe penalties, but having aggressive and thorough representation on your side can make all the difference. Misdemeanors encompass all those charges that are punishable by up to a year in jail. 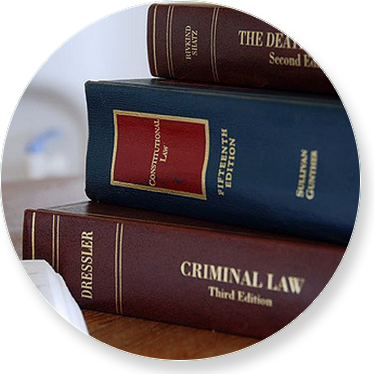 With the help of an experienced attorney the charges can be dismissed or reduced. Trials can be avoided and charges can be settled most effectively when you have a lawyer familiar with the law, who can reach agreements with the prosecution and reduce your exposure to jail sentences. Does the whole idea of “estate planning” seem difficult to you? Many people think it’s something that only rich people need to do. Estate planning is simply the process of getting your affairs in order so that you make things easier for your surviving family members when the time comes. All you need to do is take a few simple steps: take a look at what you own, make a will and a few other documents and review the beneficiary designations on your retirement accounts. For the vast majority of Americans, there’s no need to worry about estate taxes or fancy trusts. Creating a will and planning for your estate are two of the most important proactive legal steps you can take in your lifetime. In the absence of a will or trust, surviving family members may find themselves entangled in a sticky legal web with high emotional and financial costs. Be sure your family is protected by planning ahead and executing the appropriate legal documents. With a Living Trust you can: Name beneficiaries to inherit your property, designate trustees of your trust. and if you have children create subtrusts, avoid probate and much more.